Qi YINtegration is an incredible new health program, created by Michelle Greenwell, introducing people to the power of their own energy, how to cultivate more and how to move the body easily, with fluidity and with strength. “Qi” is the energy that runs through everyone and creates the power to run, swim, walk, dance and more as we find ways to move into health with energy and vitality. “YINtegration is the balance of energy that is created in the body and that is expended. When everything is in balance we feel well, we move with ease, and we have the creativity, enthusiasm and cheer to enjoy all the wonderful things that life has to offer. This program is an introduction to the most basic movement ideas that build our energy. We will be analyzing our sitting, standing, breathing, turning and strength with movement. The program launch is a very special opportunity to learn the background behind the exercises, to personally assess the energy levels in your body and assess the physical challenges faced by your body. Michelle will be focusing her attention to personal needs of the students in this session and will share her wealth of knowledge to assist with building fun and easy ways to stay active and move. For those who have not experienced a private session with Michelle, this is the next best thing to personal care. For those working with physiotherapy exercises, this will enhance what you may or may not already be doing. Sore knees, weak muscles, imbalanced muscles, tension, fear, physical limitations, emotional challenges. We are looking for everyone and anyone with something they would like to change about their ability to move and build energy. All are welcome and all abilities will find a place! If it is hard for you to get out, bring a friend and inspire each other together. Sitting exercises and specific health challenges will be addressed so don’t think you “can’t” – because you can! Please wear comfortable clothes and socks (or flat shoes if they are necessary), bring a water bottle, a notebook and a pen. Michelle Greenwell’s background includes over 3 decades of Dance, Tai Chi and Health Kinesiology. She is currently studying and building exercise programs in the field of Complementary and Alternative Medicine with Akamai University, working through her specialization of using movement to heal the body and working towards the Master’s and Doctorate program. Qi YINtegration has been many years in creation, and has thousands of years behind its roots in Chinese Medicine, Tai Chi, Qi Gong, and of course, Dance! Take advantage of this special offer to work in a focused way with Michelle, and make a significant change in the way your body walks forward into its future! 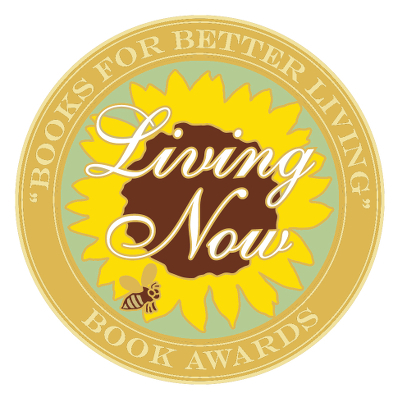 Qi YINtegration currently has 7 Sets of Information and the Book (hardcopy and e-book) for Set 1 with 11 videos, released in March 2018 has received a Bronze Medal from the Living Now book awards. You can find a copy in the store on this website!